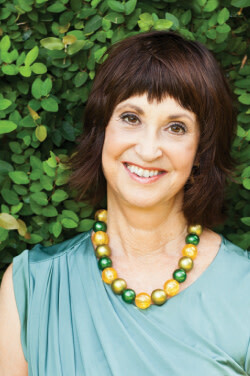 Pam Daniel welcomes you to Sarasota Magazine's 2013 Platinum annual. Young South Korean designers starred at last fall's New York Fashion Week; kimono-style wraps pranced down this spring's runways. A painting by Chinese art star Zhang Xiaogang recently brought $10 million at Sotheby's, and the venerable English auction house is avidly courting Chinese buyers, who are snapping up Western works as well. And as you'll read in this issue, right here in Sarasota, a new wing hosting an impressive Asian collection is taking shape at the Ringling Museum, while a research center for Chinese studies, which experts expect to be one of the best in the United States, is rising in the middle of a tropical jungle in South Sarasota. Trends can spark from something as fleeting as a new film or the opening of a fashionable resort, and in our restless, adrenaline-addicted world, last year's art sensation or hot destination is soon eclipsed by today's next big thing. But don't expect the popularity of all things Asian to fade. What we're seeing is just the leading edge of a tsunami, as countries all across that vast continent rise in power and prosperity. Indeed, we're at the beginning of what many are calling "the Asian century." "By 2030, Asia will be the world's powerhouse, just as it was before 1500," the National Intelligence Council recently predicted. While the U.S. has 300 million people, 1.3 billion live in China, 1.2 billion in India, and 250 million in Indonesia. And all those people are racing into the modern age, doubling their incomes in just 15 years. (By comparison, NPR recently noted, it took Britain 150 years to achieve that feat.) By 2030, the NPR broadcaster concluded, "Asian countries will surpass the United States and Europe combined in overall power indices, including the size of their economies, populations, militaries and technological investments." And way before that, in just two years, Chinese consumers are expected to account for one-third of all the world's spending on luxury goods. The ascent of Asia poses many challenges, and not only to our national pride. As the balance of power shifts, regional—and global—conflicts could ignite. Here in the United States, we'll need exceptional leadership and informed, forward-looking strategies to protect our interests and maintain our prosperity. (Considering Washington's current inability to take the simplest steps towards solving today's problems, much less to envision and ensure our future success, that's a scary thought.) But a more prosperous Asia also presents tremendous opportunities. Billions of new consumers will demand goods and services. And Sarasota could attract its share of Asian wealth, maintains Matthew Edlund, a local physician who collects and writes about Chinese art. "The Chinese are crazy about beaches," he says. They're buying real estate in other parts of the coastal United States, "but they don't even know we exist." The presence of two important institutions devoted to Asian art and culture will be an enormous attraction, he predicts, and in the time-honored tradition of Sarasota visitors, some who come will fall in love and buy homes here. New Chinese restaurants, stores and cultural amenities will follow, and their presence will help to attract even more Chinese investors and part-time residents. But the Asian collections at the Ringling and the new library offer more than a way to boost real estate sales. They elevate our national—and international—cultural standing and give each of us a chance to enrich our lives. Helga Wall-Apelt, whose multimillion-dollar gift to the Ringling Museum was the impetus for the new Asian wing, says her lifelong travels and collecting have been an infinitely rewarding "search for truth" and source of serenity. Edlund says learning about Eastern art and culture has changed his life. "I have a completely different view of the world—how it's put together, the visual aesthetics, the importance and place of nature," he says. "China is one of the greatest civilizations man has ever put together. Then add on Japan and Southeast Asia and India, also one of the world's greatest civilizations—it's a giant part of the world, and it's fascinating and extremely intellectually stimulating."